DaimlerChrysler is awfully good at getting endorsements from rap stars. Snoop Dogg wasn’t shy about his love for the Chrysler 300. 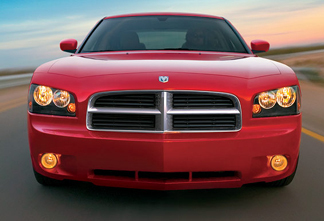 (Chrysler CEO Dieter Zetsche celebrated the Motor Trend car of the year award by blurting out, in a German accent, “As Snoop Dogg would say, it’s the shizzle.”) Now 50 Cent is giving a major shout-out to the 2006 Dodge Charger (shown here). “I need to know what I gotta do to get that Dodge Charger first. I need that,” the rapper says, according to The Detroit News.